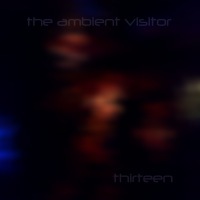 The Ambient Visitor - Thirteen - BFW recordings netlabel - ambient shoegaze indie experimental electronica - music is free! The new longform ambient album from The Ambient Visitor, a side project of BFW founder Bing Satellites. A continuous, 57 minute piece split into three parts. each note is played in a long loop, the length of each loop if different for each note, so although the music may seem to vary only slightly, it never quite repeats itself. I decided, perhaps because this is the thirteenth album, to start off in a darker mood. However, the key changes from the minor to a brighter major around half way. The tracks on this album (and albums to follow) is named after Apollo near-Earth asteroids, objects whose orbits cross that of Earth. There are many hundreds of known Apollo asteroids, though only a few dozen have been named officially, so I may run out of names from this list as quickly as I did with TNOs. is one ambient alter ego of BFW founder Bing Satellites. The music is generative - each note is played in its own loop. The length of each loop is slightly different for each note, so patterns occur and the music never quite repeats itself.